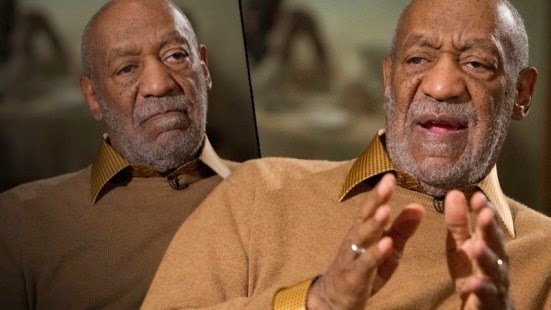 Bill Cosby’s career crisis continued Thursday, as another network cut ties with the actor, while the Associated Press released excerpts of a painfully-awkward exchange from a recent interview, after a reporter caught him off-guard with a question about the budding scandal. In the Nov. 6 chat, which was initially intended for Cosby to talk about his prolific collection of African-American art, the comic stonewalled the reporter when asked about the accusations. “No, no, we don’t answer that,” Cosby, flanked by his wife Camille, told the reporter. “There’s no response. There isno comment about that. After the formal interview was complete, Cosby — still wearing a lapel microphone — asked the reporter, “Can I get something from you? That none of that will be shown? The organization said it never agreed to any restrictions regarding topic matter, and that Cosby’s comments were on the record. And in another mark of Cosby’s fall from grace, TV Land announced it will no longer broadcast The Cosby Show reruns. TV Land’s decision to scrap the 80s sitcom, which would have included a Thanksgiving marathon, came on the heels of NBC’s announcement that a sitcom with the 77-year-old “is no longer under development;’ as well as the cancellation of a Netflix stand-up comedy special that was slated to air next week. Cosby’s 35 stand-up comedy shows scheduled through May 2015 remain on the calendar, promoter National Artists Corporation told the AP, adding it will not cancel any slated outings in the wake of the scandal.